Respiratory diseases are one of the most difficult workplace hazards to control. Especially in industries such as mining and construction, dust inhalation can cause a myriad of health problems. Unlike large hazards that can be physically moved, such as heavy equipment, controlling dust is incredibly complicated. It can be tempting not to monitor or control dust. Since it often can’t be seen, it can slip under the radar as a health concern. This philosophy is very unsafe— and very illegal. All ingested dust is harmful, but for some, dust can become fatal. Monitoring the dust in a workplace is a necessary evil to ensure your employees are working in a safe, inviting environment. More people worldwide are affected by dust particles than any other pollutant. According to the World Health Organization, particulate matter is the most widespread pollutant. The particles in dust are commonly measured in two ways: PM10 and PM2.5. These numbers correspond to the size of the particle diameter in µm. These particles are incredibly small— a human hair, for example, has a diameter of about 60 µm. PM10 particles include any particles that are smaller than 10 µm. This is the category dust falls into. The national air quality standard for Australia for PM10 particles is an average of 50 µm/m3 over a twenty-four-hour period. Dust is one of the biggest factors of overall air quality. There are few things as important to humans as the air we breathe. 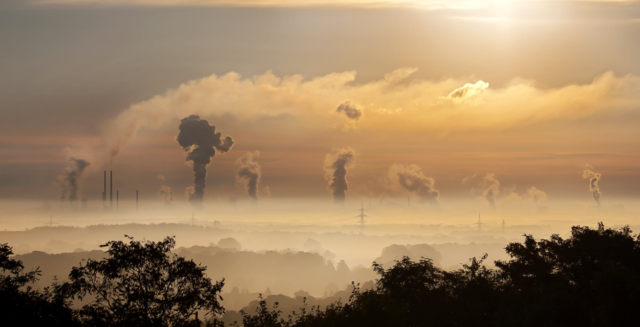 The pollution in that air mainly originates from dust, volatile organic compound gases, and CO2. According to the World Health Organization, there are no healthy levels of dust in the air— any quantity of dust can be damaging to health. Whether you’re building, mining, or farming, hazardous dusts have a myriad of effects on the overall process and results of your project. All air pollutants can impact the local environment, but dust is particularly harmful due to how quickly it can spread. The dust can affect local plants and animals. Dust particles can be inhaled by animals to cause breathing problems. Dust is also one of the major causes of accidental explosions and fires. Without an understanding of how much dust is in the air around your project, you run the risk of accidental explosion. Dust is a silent assailant. Since the particles are so small, they often travel past the nose and throat cavities and settle in the lungs. Uncontrolled inhalation of dust can cause lung cancer, premature delivery, respiratory diseases, cardiovascular diseases, and premature death. Dust is most dangerous for those with asthma. With asthma, dust in the lungs can trigger bronchoconstriction, the tightening of the lungs. This symptom causes wheezing, coughing, and shortness of breath. Professional dust monitoring is the best way to ensure a safe workplace for your employees. Our talented, professional team will collaborate with you to determine your specific workplace needs. Meeting regulatory standards of dust levels is simple with SERS. Our qualified air specialists will set up a monitoring station at your workplace to assess the concentration of free-floating dust in the air. With this information, we can work with your team to set up an efficient dust management plan. This management plan will help set up a system for controlling dust, establish a continued monitoring system, and ensure proper implementation of the strategies. With 16 monitoring stations already established and fully equipped throughout Australia, SERS is your local expert for dust monitoring in Perth!